The Free BTC Club website provides no information about who owns or runs the business. a legal BTC earning and wealth management company incorporated and headquartered in Asia. Free BtcClub is a subsidiary derived from a collaboration of global companies owned by crypto expert CEO’s. Further research reveals Free BTC Club marketing emails citing Michael Merino as Free BTC Club’s “program developer”. In a Free BTC Club marketing video, Merino discloses he got into the MLM industry twenty-two years ago through Herbalife. He claims to have since been involved in eight MLM companies. Three years ago Merino (right) was promoting BetterBid, which he presents as a recruitment-driven MLM opportunity. I did try to research for independent information on BetterBid but came up blank. Whatever BetterBid was it appears to have long-since collapsed. Over the past two years Merino states he has transitioned into the MLM crypto niche. As far as I can tell Merino is based out of California in the US. The link to Asia appears to be solely dependent on running Free BTC Club from “servers in Singapore”. Read on for a full review of the Free BTC Club MLM opportunity. Free BTC Club has no retailable products or services, with affiliates only able to market Free BTC Club affiliate membership itself. Free BTC Club affiliates invest bitcoin on the promise of an advertised 1.8% daily ROI for 112 days. How much a Free BTC Club affiliate invests determines what they earn in residual commissions. Free BTC Club pays residual commissions via a binary compensation structure. At the end of each day Free BTC Club tallies up new investment volume on both sides of the binary team. Residual commissions are paid out as a percentage of funds invested on the weaker binary side. Free BTC Club affiliate membership is tied to a 0.025 to 3 BTC investment. How much an affiliate invests increases their income potential via the Free BTC Club compensation plan. Your first (and major) red flag with Free BTC Club is that it’s not available to US residents. Considering bitcoin is legal in the US, it follows that its Free BTC Club’s business model that is the problem. Your Bitcoin doubles without any necessary daily task. Before we get into that though, be aware that Free BTC Club’s “not in the US” act is pseudo-compliance rubbish. Free BTC Club affiliates are openly recruiting US resident investors, by telling them to use a Virtual Private Network (VPN) to mask their location. Furthermore Michael Merino himself appears to be based out of the US, as is pretty much everyone involved in Free BTC Club’s official marketing emails and videos. Free BTC Club claims to generate external ROI revenue through forex trading. Naturally there’s no evidence of this, or any other source of external ROI revenue provided. And even if there was, even the most gullible investor can appreciate legitimate trading can’t fund guaranteed 1.8% daily ROI plus residual commissions. If that were the case surely after two years in the MLM crypto niche Merino would be ready to retire with god tier riches? As it stands the only verifiable source of revenue entering Free BTC Club is new investment. Using new investment to pay existing investors a 1.8% daily return makes Free BTC Club a Ponzi scheme. 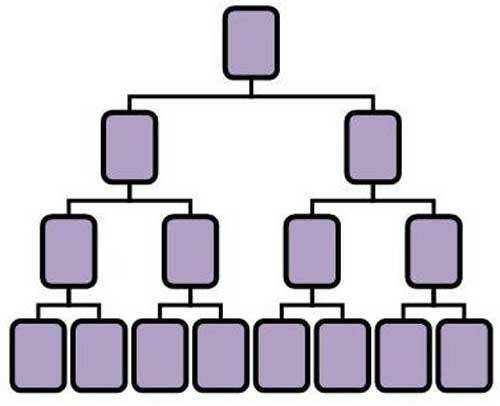 Paying affiliate investors to recruit new investors also makes it a pyramid scheme. As with all MLM Ponzi schemes, once affiliate recruitment slows down so too will new investment. This will starve Free BTC Club of ROI revenue, eventually prompting a collapse.